I’ve said it before and I’ll say it again, winter is a joy for seasonal ingredients. There may not be quite as many as the abundant summer months but I’d say we’re in a time of quality rather than quantity. 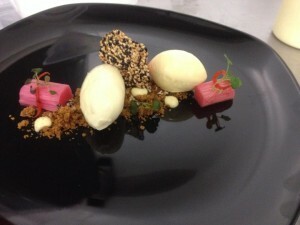 Any season that can produce the stunning flavour that comes from Yorkshire Rhubarb is, in my mind, a winner! I recently wrote a column for The Courier which talked at length about this unique and somewhat elusive Rhubarb. Also known as forced rhubarb, I think the psychological imagery this conjures up can be terribly misconstrued. “Forced” brings with it all sorts of negative connotations and somehow our brains have it right up there with veal calves locked in dark barns. Throw in our justified hatred of GM foods and chemically enhanced vegetables and we’re left thinking that this is the demon of the fruit and veg patch. 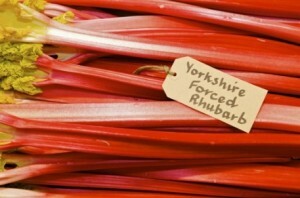 It’s why I always refer to it as Yorkshire Rhubarb. (This is its other name by the way; I didn’t just make it up to help me sell pudding!). Forced or Yorkshire Rhubarb started life as an accident. 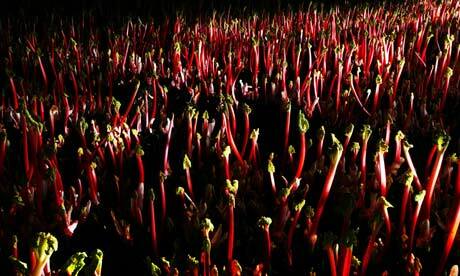 The roots of the rhubarb were covered in soil but rather than killing it, it nurtured and enhanced its growth producing very fast growing, very straight, rhubarb. The variety produced is specific to this growing method and is longer, thinner and straighter than its traditional counterpart – not so much “dip in sugar and chew” as “poach lightly and enjoy”! I love its pale pink colour and flavour – it is a joy to work with. We’re serving it with crispy duck as a main course at the moment and paired with this season’s beetroot and blood oranges it is quite simply, food of the gods! Interestingly, rhubarb is more native to Siberia which probably explains why it thrives in the Yorkshire winters! The “Rhubarb Triangle” is a 9-mile-square triangle in west Yorkshire between Wakefield, Morley and Rothwell and it once produced 90% of the world’s winter forced rhubarb from its fields and forcing sheds. I digress…! My point is that the word forced is just that – a word! From a food lover and chef’s point of view I feel we must accept a harvest that falls outwith the natural “circle of life” so long as it doesn’t interfere with the genetic or biological make-up of our food. If we left everything entirely to Mother Nature we’d have summers and winters with no harvest at all; rafts of angry farmers queuing up to sign on and entire teams of suicidal chefs weeping into their empty veg baskets. 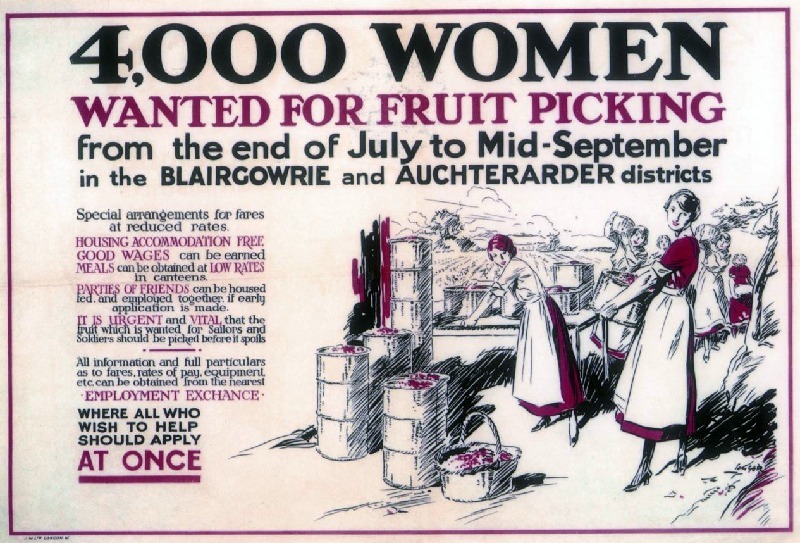 The point is you will now see fields full of polytunnels and shops full of new, Scottish varieties that have brought us back to the forefront of the global berry market. After a serious kicking from Spain in the 80s – where as a nation we were choosing their dodgy berries over our own homegrown varieties! – the polytunnels started to appear and our farmers stepped up to protect their crop.Our climate in Scotland is damn near perfect for berry growing; our long clear nights, not too hot sun and damp air make for the sweetest, juiciest soft fruit in the world. That is a fact I’m proud to stand by! So of course, when possible, we should protect this as much as we can, and ensure that our children spend their summers munching on fruit from down the road rather than from across the continent? Science is a brilliant thing if used properly and when it improves the process rather than tampering with the food itself then it gets a huge thumbs up from me. It’s still in Mother Nature’s hands – we’re just holding them a little for her! Berry growing is worth £100 million to the Scottish economy – can you imagine if we decided not to protect our tourism industry or whisky distilleries? There would be an outcry! 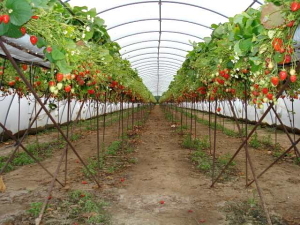 The fact is, that by protecting our summer harvest, we have extended the season outwith its natural months. October strawberries aren’t Bad Berries – they’ve simply been given a better chance. Just like all of us living past our three score years and ten…. You wouldn’t question an 80 year old who had been given a hand by science now would you?! Use your tastebuds – that’s what I say. I will buy berries from May to November and I will use them on my menus as long as they are local, tasty and natural. I don’t mind that they are grown in tunnels. Hell, grow them in your spare room if you like – as long as they haven’t been injected with chemicals, I’m in! As with all of my ingredients, the trick is to know your supplier and speak to them directly. I talk to the farmer and I know what he does to give me berries in October. I also know the minute they are finished and at that point there is no more berries near a 63 Tay Street or Parklands Hotel plate until the following year. These men and women know what they are talking about – they are producing 1/3 of the UKs soft fruit – they are to Scotland what grape growers are to France and rhubarb growers are to Yorkshire! So instead of bemoaning tunnels and forcing sheds, we should be applauding the ingenuity of our UK farmers and championing the fruits of their labour. Let’s be honest, who doesn’t want to stuff their face with a bowlful of berries in October or a plateful of Rhubarb in January? Geniuses every one!